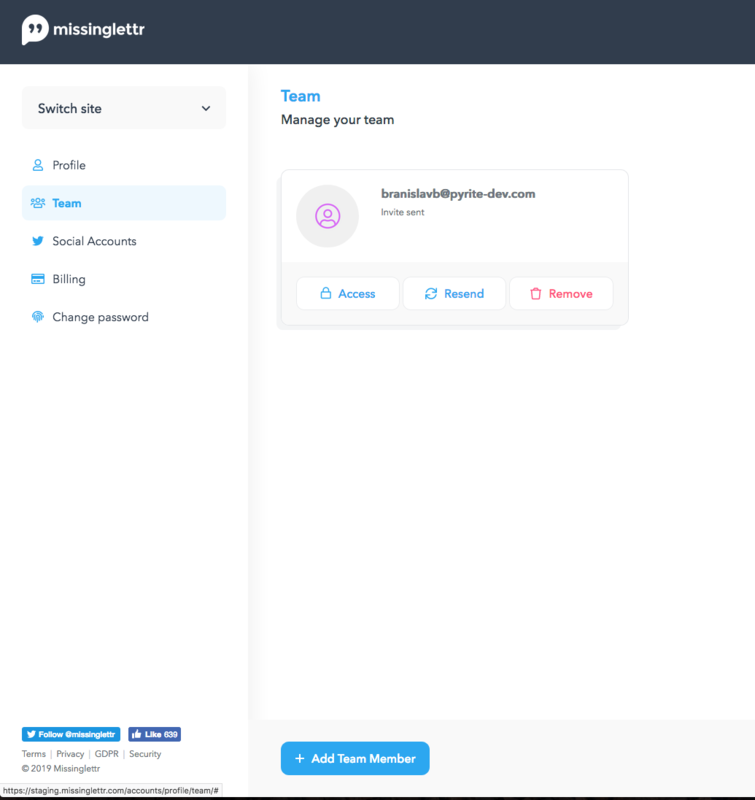 How to Use Missinglettr - How can I add/remove team members? All Categories ​>​ Sites ​>​ How can I add/remove team members? In order to add new team members, go here and click the “Add team member” button. You will be prompted to insert the email address. After you add the team member, they will receive an email and be asked to accept your invite. 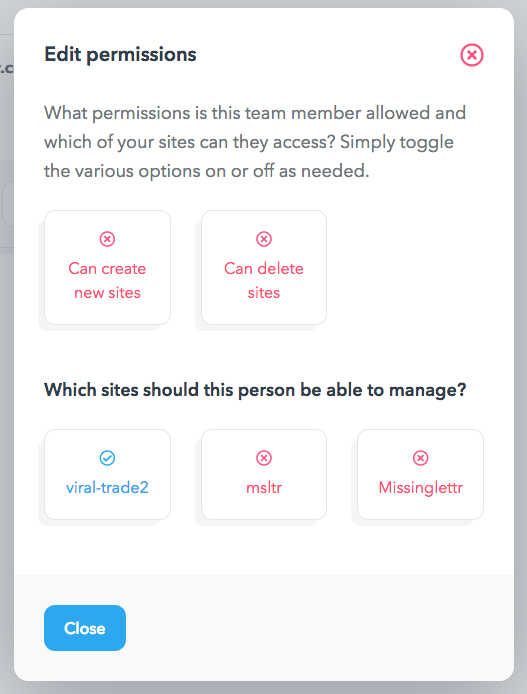 You can manage their permissions on the same page. Clicking the "Access" button next to the team member will open a window that looks like this. In the team member field, you’ll also see a “Remove” button you can use if you want to entirely erase a person from the team.